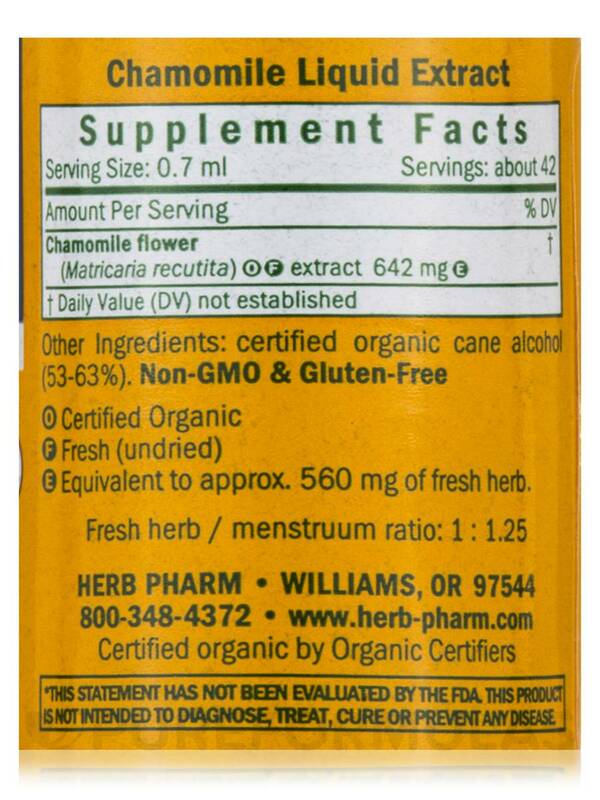 If I take a dropperful of Chamomile by Herb Pharm before bed and another when I wake in the night, I go back to sleep more easily than I do when not using this product. 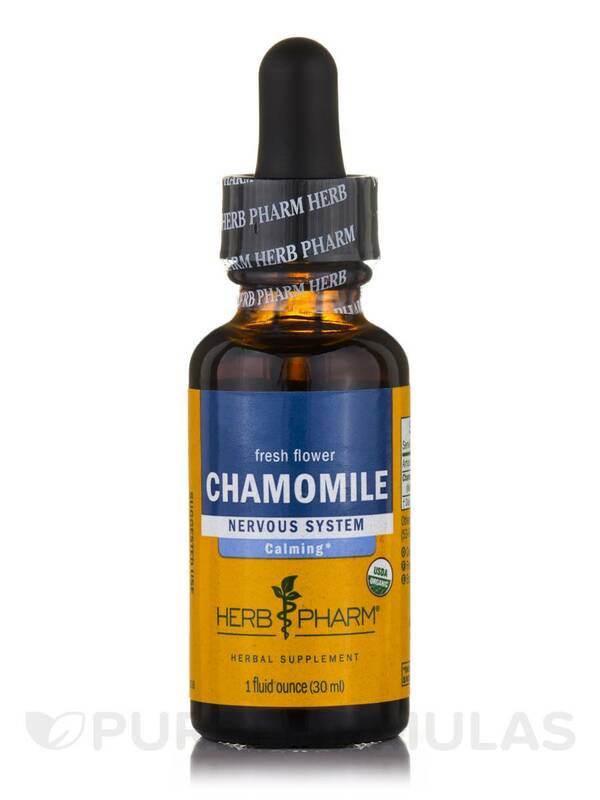 If you’re looking for a liquid supplement that may offer natural support for optimal nervous system function‚ you might want to try Chamomile Extract by Herb Pharm. This product provides German chamomile extract from fresh flowers that are organically grown and harvested by hand. Since chamomile may have a mild relaxing effect‚ this product may also help address certain symptoms associated with stress‚ such as mild anxiety‚ irritability‚ or trouble sleeping. In addition‚ chamomile extract contains a compound called spiroether that might have antispasmodic properties. 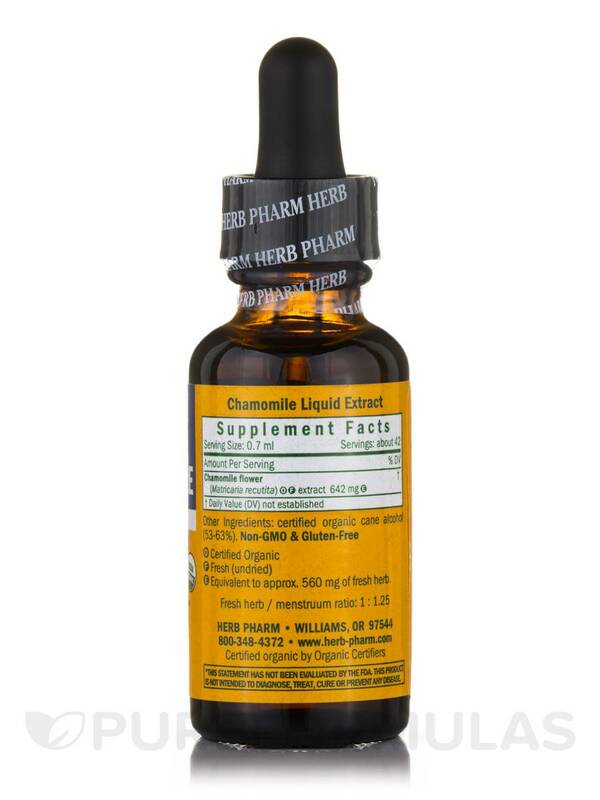 As a result‚ this supplement might play a role in alleviating mild menstrual pain or muscle aches. Finally‚ chamomile may work to relieve some mild digestive problems‚ including indigestion. Since it might play a role in relaxing smooth muscle contractions in the intestines‚ this herb may also help address some signs of irritable bowel syndrome (IBS)‚ including stomach cramps‚ gas‚ or diarrhea. 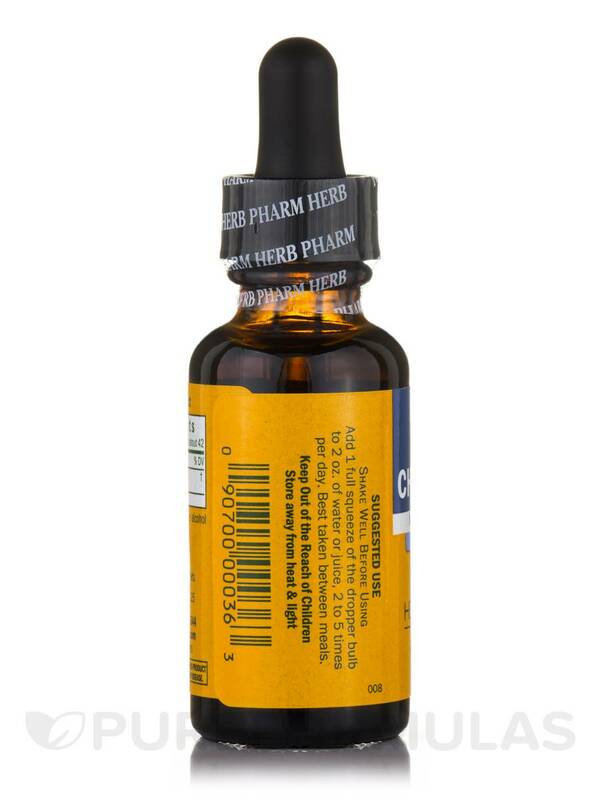 Each bottle of Herb Pharm’s Chamomile Extract contains one fluid ounce of solution. (E)Equivalent to approx. 560mg of fresh herb. Other Ingredients: Certified organic cane alcohol (53-63%). Fresh herb / menstruum ratio: 1:1.25. Shake well before using. 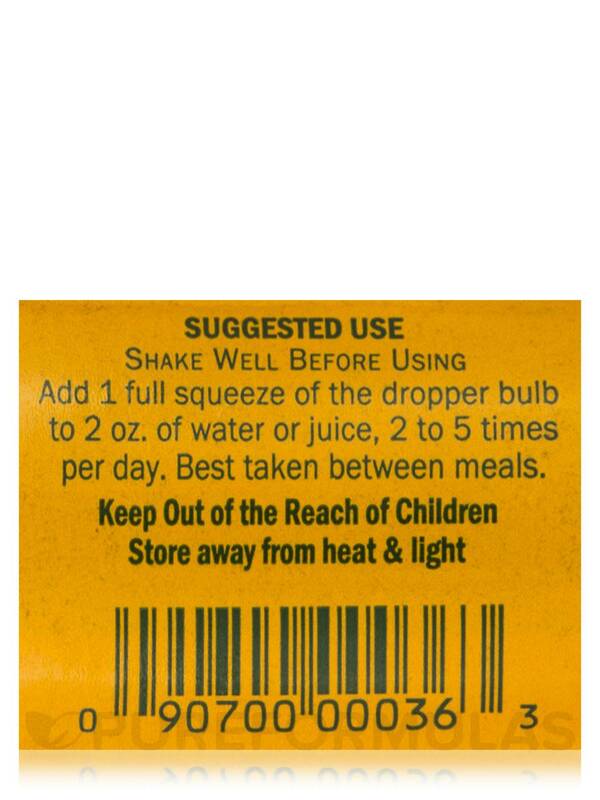 Add 1 full squeeze of the dropper bulb to 2 oz. of water or juice‚ 2 to 5 times per day. Best taken between meals. Easy to take with a little water.